Antick is a unique store located in downtown Lambertville, New Jersey. 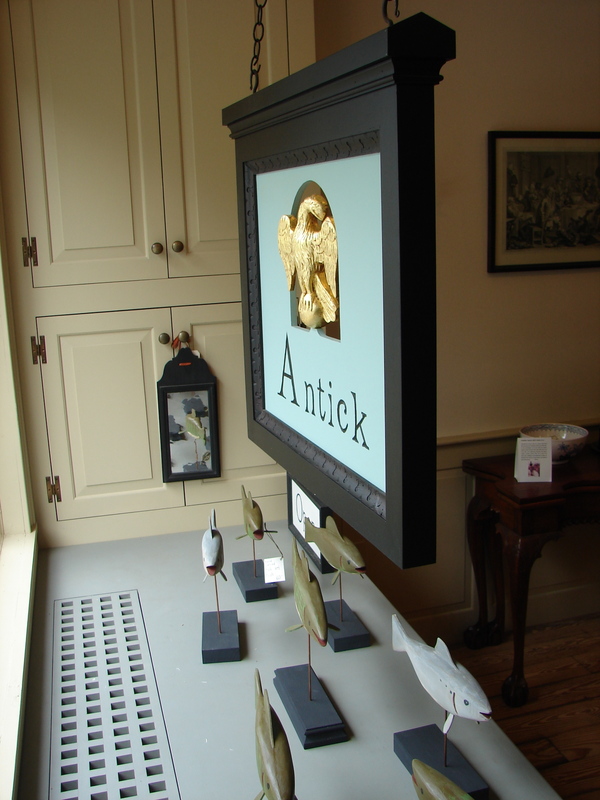 Antick is a gallery of craftpersons dedicated to the preservation of the skills and vision of the country’s early artisans. We feature the work of furniture maker David Wilson. Inspired by the design and craftsmanship of 18th-century cabinet makers, Wilson uses traditional techniques long forgotten in a world in which most things are made fast, cheap and disposable. Though Wilson does use machines, he does not let them have the last word in the appearance of the piece. All carving, all shaping, and much of the joinery are done by hand. As with 18th-century cabinet makers, each commission is tailored to each client’s needs, budget and aesthetic sensibilities. One could have a chair made to complete an antique set, or could custom design a gift for anything from a birth to a wedding that is enduring and unique. Wilson has an extensive knowledge of various forms and regional variations of decoration, and a reference library of thousands of images. Modern styles are also made and designed here, all with the same care and strong joinery found in our other furnishings.